Witt Birdsfoot Trefoil was developed by the U.S. Dairy Forage Research Center Madison, Wisconsin for persistence in cool humid environments with stands showing 50% persistence three and four years after establishment. This variety has an upright growth habit and is the same maturity as Empire. Witt was derived through selections made from several University of Guelph, Ontario, Canada germplasm lines with the focus on persistence, forage yield and increased seed size (up to 20% larger than average) to aid in better stand establishment. 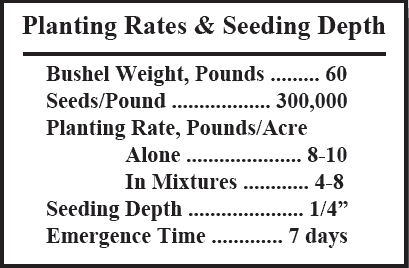 Witt performs well on poorly drained soils and soils with a lower pH. This variety has improved disease resistance to Rhizoctonia Blight and Anthracnose, superior winter survival and recovers quickly after cutting. 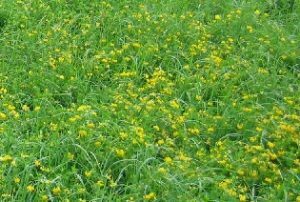 All of these characteristics contribute to higher forage yields and longer stand persistence when compared to other birdsfoot trefoil varieties.